Issues: BOB�S (ERIC) FINAL MEETING! Final meeting of the semester. A party was held for Eric�s final meeting. Discussed history, shared stories, talked about semester statistics, and the future of the club. The website committee was created in order to maintain it and Eric is the new Chair. The final treasury report was submitted. Limited summer meetings will occur, they will start Tuesday May 29th, occur every Monday after that unless otherwise noted and will end on June 18th. The meetings will be then evaluated and decisions will be made them as to continue or not. Have a great summer! As it was Eric�s final meeting he was allowed to choose the anime. After showing titles he was going to use that didn�t make it (Sailor Moon Season One DUB, AMV Hell 0, Pokemon Heroes, and New Cutey Honey) he decided to show Ai Yori Aoshi. 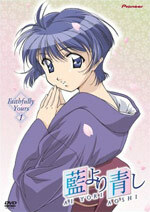 Overview Ai Yori Aoshi (Official Description): Do you remember your first love? Kaoru Hanabishi just wanted to help. Aoi Sakuraba just wanted to find her first love. They never realized they were looking for each other. Ever since their arranged marriage 18 years ago, Aoi had been in love with Kaoru, but she traveled to Tokyo to meet him when she learned the marriage had been called off. While Kaoru's impressed by Aoi's loyalty, innocence and beauty, to accept her affection he might have to return to the Hanabishi Clan and the emotional and physical pain he suffered during his childhood. Their self-control and their love will be put to the test when she moves in and he tries to stay a gentleman! Issues: Only one meeting left this semester. BOB'S (ERIC'S) LAST STAND err...last meeting as president is Monday. Come by to wish him well! The meeting will be president�s choice. Discussed Eric's final meeting, summer meetings, and next year�s meetings. The final treasury report will be submitted on Monday. Finally, help will be needed to remove all of the equipment on Monday. Issues: Only two meetings left this semester. Discussed summer meetings. Issues: Only three meetings left this semester. Discussed Eric's final meeting anime selection and summer meetings. 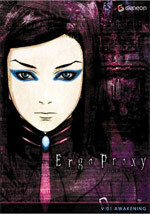 Overview Ergo Proxy (Official Description): A domed city, Romd is home to both humans and robots. The two races peacefully live together, both under the control of the government. This doesn't last forever, however, as the surprise attack on a reporter by a mysterious being that is not clearly robot or human sparks an all-out war which may just be the "awakening." Overview Pani Poni Dash! (Official Description): Good news? She's an MIT grad. Bad news? She's an 11-year-old MIT grad. So while Becky Miyamoto may be intellectually able, this MIT prodigy is painfully ill-equipped to deal with a group of temperamental teens, especially THIS group. There's the bitchy heather, the spazz, the angry nerd, the identical twins, the invisible girl, the freaky class president, the drama geek, the Nancy Drew, the gamer, the princess.. whew! Add to that her pathetically - abused stuffed bunny buddy and idiotic aliens watching her every move and it's no wonder Becky's prone to crying fits, tirades, and flipping the class the bird. Don't miss the Grade-A comedy from the brains behind Negima!? - Paniponi Dash! It's a lesson in comedy that'll just kill you. Issues: It was advisors choice and Dr. Karsner showed Barefoot Gen. He led the group and pre and post discussions about the anime. Overview Barefoot Gen (Official Description): Gen and his family are living in Hiroshima as Japan nears the end of World War II. Gen's father has come to believe that the war is unwinnable, thus earning the wrath of the town officials and, in turn, discrimination from the rest of their neighbors. Shunned by the local merchants and tradesmen, food becomes scarce for Gen and his family. All these concerns soon pale, however, as the American military begins its final assault on Japan with the unleashing of its terrible new weapon. 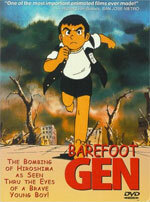 Issues: It will be advisors choice on Thrusday and Dr. Karsner will be showing Barefoot Gen. 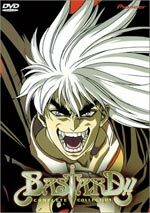 Refer to Monday March 26th, 2007 for Anime overview. No Meeting on Thursday April 5th due to Spring Weekend. Meetings resume on Monday the 9th. Issues: Thanks for all those who attended the film fest. It was one of the best film fests we have ever had. Thanks Again! Discussed film fest. Remember we will not be having a meeting on Thursday due to the Spring Weekend beginning and meeting will resume on Monday. 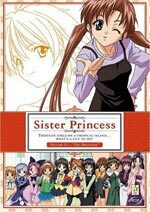 Overview Sister Princess (Official Description): Wataru Minakami was at the top of his class, but when he unexpectedly fails his only high school entrance exam, he is sent to attend school in a mysterious place called Promised Island. There he meets his thirteen sisters! What's a big brother to do? Issues: The Film Fest is on Sunday, we hope to see you all there! 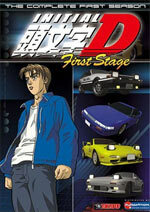 Overview Initial D First Stage (Official Description): When Keisuke Takahashi of the infamous RedSuns racing team accidentally witnesses normal, everyday tofu delivery boy Takumi Fujiwara's, expert drift technique, Takumi's life shifts into high gear. Keisuke challenges him to a racing battle and the race results in Takumi plunging headlights first into the white-knuckle, adrenaline rushing world of underground mountain-pass street racing. With his incredible techniques and top notch AE Eight-Six, Takumi blows the competition away battle after battle. As the word rapidly spreads about a new racer beating out the best drivers and cars that drift racing has to offer, one by one, new challengers quickly step out to battle him. Yet, time and time again, Takumi proves himself to be a force to be reckoned with. Can Takumi be the best? Issues: Discussed Film Fest, talked about setup times and events to occur that day. Overview He Is My Master (Official Description): He Is My Master follows the day-to-day life of Yoshitaka, a 14-year-old pervert with a major superiority complex and a uniform fetish to boot. After inheriting the family fortune after his parents die in an accident, Yoshitaka decides to fire the old staff and hire some new live-in maids to help him look after his estate. Unfortunately, he gets more than he bargained for when three hot girls, along with a pet alligator named Pochi, show up to fill the positions! Issues: Discussed Film Fest, Final tables have been announced and rooms the tables are in have been decided. 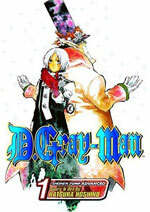 Overview D.Gray-man (Official Description): Set in a fictional end of the 19th century England, the story revolves around a teenage boy named Allen Walker who is cursed with a cross mark on his hand that turns his arm into an enormous weapon, which he uses to hunt down and kill akumas. An akuma, generated by a 1,000-year-old phantom, is implanted into a human's soul during a moment of devastation and despair. The phantom uses the demons to then carry out his goal: destroy all humankind. Issues: Discussed Film Fest, setup for the film fest, tables, snacks, and other issues. No Meetings on Monday March 12th or Thursday March 15th 2007 due to Spring Break. Issues: Discussed Film Fest. There will be NO MEETINGS on Monday March 12th or Thursday March 15th due to Spring Break. HAVE A GOOD SPRING BREAK! 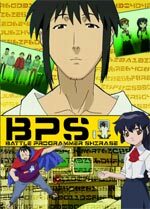 Overview Battle Programmer SHIRASE (Description from Wikipedia): The story of BPS revolves around a "freelance programmer" named Akira Shirase. He's a very talented, yet mysterious computer programmer. Because of his incredible abilities, he's contacted by several individuals (curiously, all of them are very similar persons named Akizuki Kaoru) to do all sorts of strange computer-related hacking/security jobs. Issues: Discussed Film Fest, members were asked to volunteer to work at tables. 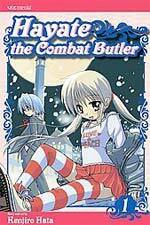 Refer to Monday February 5th, 2007 for Anime overview. Issues: Discussed Film Fest, the Film Fest will be held on April 1st, 2007. Anyone who wishes to run a table please talk to Erika or Ryan. Overview Mamoru's Blessing from the Goddess (Mamoru-kun ni Megami no Shukufuku wo!) (Description from AnimeNfo): "Beatrice". It is a mysterious power that responds to people's will and realize all of them. Tokyo Beatrice University Attached High School is the only school that teaches Beatrice called "magic appears in the real world". 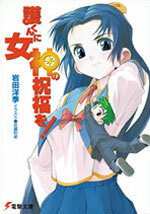 Yoshimura Mamoru is a high school boy who was saved by Beatrice miraculously when he was a child. At the first day of the school, he meets a girl under the cherry trees on his way to the school. She orders him to go out with her. Her name is Takasu Ayako. She is in the second grade and one year older than him. She is a director of student committee of discipline. Also, she is a granddaughter of a big-name politician, very beautiful, and a genius Beatrician who can even shoot a satellite down. She is called Witch Beatrice or Death Angel in Beatrice, but in fact, she is a pure-hearted girl. Issues: Discussed Film Fest, the Film Fest will be held on April 1st, 2007. 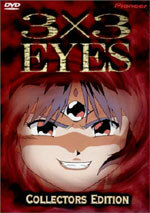 Overview 3x3 Eyes (Official Description): Legends whisper about the ancient Sanijyan, poweful three-eyed demons that possessed the secret of immortality. Yet their fascination with humanity led to their slaughter by one of their strongest leaders, Lord Kaiyanwan. Today, humanity's blind arrogance has built a civilization that believes only in itself and we preserve our senses of security only by refusing to see the shadow-world lurking beneath the surface of our town... One man, Yakumo, will be forced to confront this hidden world and discover the curse of immortality. What he finds will force him to embrace the demon world to find not only its humanity, but also his own. Issues: Discussed the film fest. Overview Sumomomo Momomo (Official Description): Momoko is the only child of the Kuzuryuu clan, a powerful martial arts family with inhuman strength. But strong as she is, her father fears a woman will never be able to master the skills of the family. Unless Momoko marries and bears a capable heir, the Kuzuryuu line is doomed to weaken and die off! With this mission in mind, Momoko is sent to the rival Inuzuka clan, where she is to marry the son of their mighty leader. But Koushi Inuzuka abandoned the martial arts long ago. Now committed to his legal studies, the last thing Koushi has on his mind is marriage - especially not to the world’s strongest bride! Show: Due to several technical failures and the delays that resulted from repairs the meeting was held under the Summer Rules and does not count towards the anime shown and member attendance. 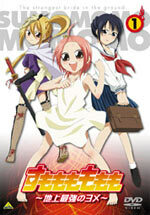 An anime was chosen from the available titles with member opinion. 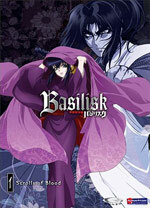 Overview Basilisk (Official Description): When honor means nothing and power is everything, can love survive? A legendary pair of rival ninja clans battle to end years of slaughter as a forbidden love struggles to prevail. Fate will decide if the ultimate declaration must be made: To the one I love...prepare to die. Issues: Happy Valentines Day! Library will be open Thursday. 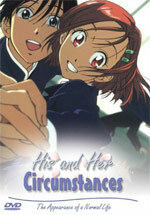 Overview His and Her Circumstances (Official Description): Pressure is high for Yukino Miyazawa to succeed, to be loved by all, and to be simply...the best. After working so hard to become the top student at her school, a new competitor has arrived to tumble her from her self made pedestal: Arima Souichirou. The instant she met him, she hated him. He topped her every effort without even trying. Now Yukino is putting her hard work into plotting her revenge, but was love part of the plan? Overview Desert Punk (Official Description): Enter a decimated world deep within the desert, where a less-than-noble hero fights for less-than-noble causes and chases a voluptious love interest for less-than-decent reasons. A world where war is a way of life, sarcasm is mode of communication and the unexpected is always on the menue. 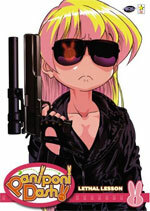 With Desert Punk's strikingly realistic weaponry, darkly comical tone and gritty character design, this much anticipated series trailblazes a bold new direction in both story and style for traditional anime. Issues: Worked on funding forms. Overview Code Geass (Official Description): On August 10th of the year 2010 the Holy Empire of Britannia began a campaign of conquest, its sights set on Japan. Operations were completed in one month thanks to Britannia’s deployment of new mobile humanoid armor vehicles dubbed Knightmare Frames. Japan’s rights and identity were stripped away, the once proud nation now referred to as Area 11. Its citizens, Elevens, are forced to scratch out a living while the Britannian aristocracy lives comfortably within their settlements. Pockets of resistance appear throughout Area 11, working towards independence for Japan. 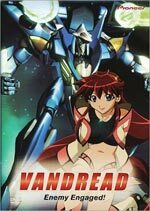 Lelouch, an exiled Imperial Prince of Britannia posing as a student, finds himself in the heart of the ongoing conflict for the island nation. 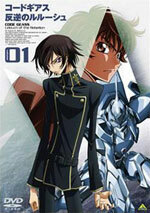 Through a chance meeting with a mysterious girl named C.C., Lelouch gains his Geass, the power of the king. Now endowed with absolute dominance over any person, Lelouch may finally realize his goal of bringing down Britannia from within! Issues: Discussed and audited library, further discussed live action issue. Overview Vandread (Official Description): VANDREAD finds the all male planet of Taraak in the midst of their perpetual battle with the female inhabitants of Mejale. Hibiki, a young male stowaway on a Taraak ship finds himself in the midst of a great adventure when a group of females hijack the ship and accidentally send themselves and their prisoners to a far corner of the galaxy. Soon, they encounter an enemy far greater than themselves that forces both the men and women to put aside their differences and work together. Overview Galerians: Rion (Official Description): A murderous super-computer named Dorothy control a post-apocalyptic Earth in 2516, and now she has created artificial beings called Galerians bent on destroying the human race. 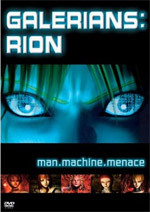 Only Rion, a vulnerable teenager with incredible powers, stands a chance of saving the world from the newest, most terrifying technological menace! Issues: Discussed the new library setup and a long discussion occurred related to the live action issue. Issues: First meeting of the semester, discussed this semesters agenda and the live action issue. Overview Hellsing Ultimate Vol. 1 (Official Description): Vampires and ghouls stalk modern-day England, hunting the oblivious populace. Only the Hellsing foundation stands between the evil undead and the innocent humans who would be their prey. But there's something new out there - chips that give humans vampiric ability and bloodlust are being sold as the latest designer drug. 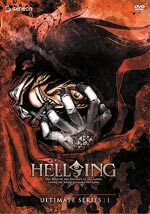 With a new wave of evil creatures rising, Hellsing must rely on its two most unlikely recruits - ancient master vampire Alucard and the newly turned Celes Victoria - but can even they stand in the face of such overwhelming odds? 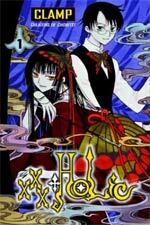 Overview xxxHOLiC (Official Description): Watanuki Kimihiro is haunted by visions of ghosts and spirits. Seemingly by chance, he encounters a mysterious witch named Yuuko, who claims she can help. 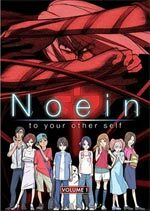 In desperation, he accepts, but realizes that he's just been tricked into working for Yuuko in order to pay off the cost of her services. Soon he's employed in her little shop - a job which turns out to be nothing like his previous work experience!